1. 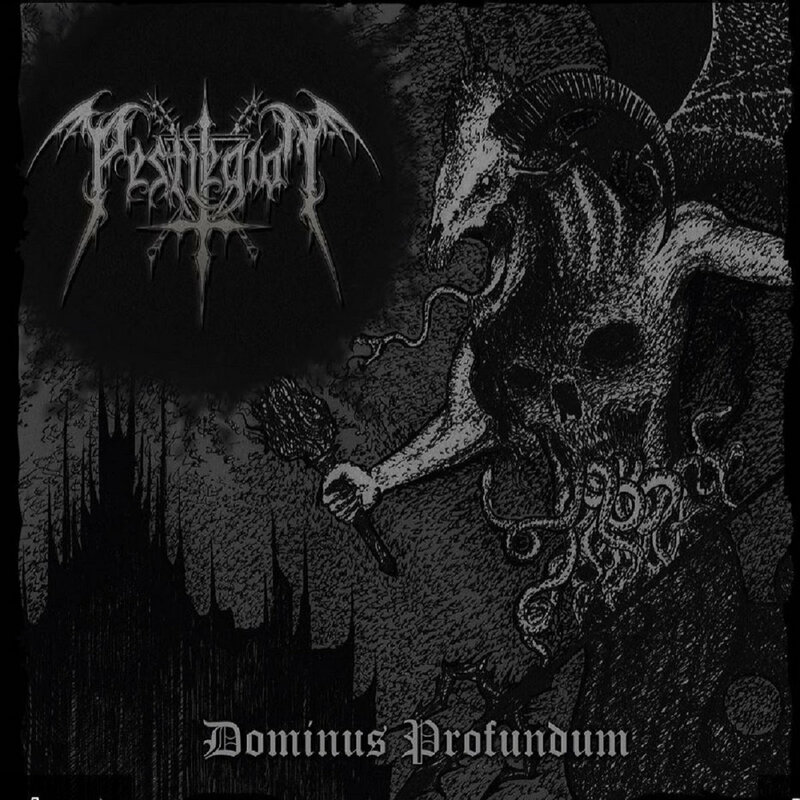 But I'm wrong the band was created in 2012 by Caladrius and B. von Doom, however in a short period of time a couple of other musicians joined to shape the final line-up of Pestlegion, how was this initial period of the band and why it considered necessary the incorporation of these new members? Why chose the name Pestlegion for the band since it makes reference? Actually we chose the name Pestlegion because we wanted to express our dedication to the second wave of Black Metal and yes, Pestlegion initially started as a two-piece by Caladrius and myself (B. Von Doom). Once we presented our Songs to drummer Tyyn, he was interested how they would sound as a real Band. It sounded great and Pestlegion became a real band. Our songwriting is based on two guitars and that’s why we recruited J. as second guitarist. He left the Band in 2016 and was replaced by Tenebriz, who fits perfectly for our needs. Our Line-up is stable since then. 2. In April of 2014 you edit your first Ep "March to War" that contains four themes that already gave an idea of your influences and themes. We are before an EP that already shows that taste for the riffs worked and for everything that has to do with the black of the nineties. How was the process of composition of this Ep and what it meant for the group to see the repercussion achieved by it? 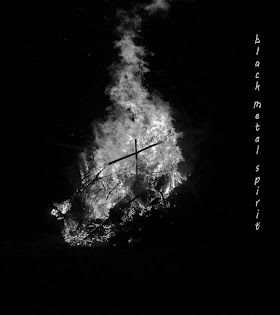 The EP was written by Caladrius and myself as we are Black Metal Enthusiasts since the early Nineties. We wanted to write and record music in the vein that influenced us the most. Bands like Marduk, Darkthrone, Impaled Nazarene and Mayhem (just to name a few) had a big impact on us and our musical preference. It’s good to see that people like what we do…. on the other hand if they didn’t: We would still sound the same way because it is the music we like. We do not follow trends and do what we want to do. 3. 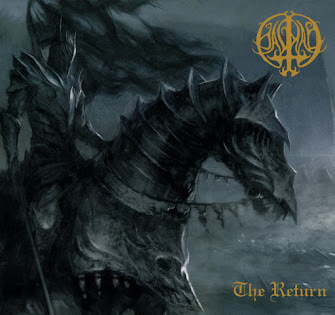 "Dominus Profundum" was released at the beginning of last year, an album that shows the maturity reached by the band, but without a doubt does not lose sight of the previous "March to War". How has the composition and recording process of this work been and how has the sound of the band evolved with respect to your previous EP? Well, “Dominus Profundum” was written by us as a four-piece in the rehearsal room and you hear the influences of all the members while the “March to War” EP was recorded more or less in Homerecording by two of us as already mentioned above. Nevertheless we tried to maintain that nineties Spirit in our Songs and it seems like we succeeded. 4. How long has it taken you to have the new album ready and how is your way of working on the new themes in the rehearsal room? Since Caladrius and Tyyn are also active in a Death Metal Band called Sabiendas the songwriting took a little longer than expected. It took us about two years to write all the songs for the album. Nevertheless we are still very satisfied with the outcome. In general we collect ideas and when we are in the rehearsal room we start jamming. Often pretty cool songs evolve and if a riff is missing - one of us comes up with an idea of how to continue or finish a song. 5. 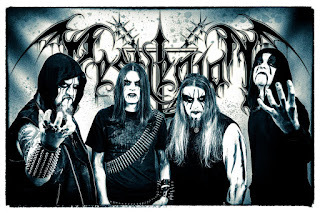 Nobody can deny the influence of the second wave of black metal, not only in their music, but also in the theme of their lyrics (Nordic mythology, demonology, etc.) Where does this influence come from in their music? important at that time, mid-nineties, to feel totally influenced and translate these influences into his music? As already mentioned, Caladrius and myself were teenagers in the 90s and grew up with the second wave of Black Metal. We always loved the music and the sound of the BM albums of that time. Whenever we finish a song we start to write lyrics in the mood that the song transports. That can be Nordic Mythology, Misanthropy, Demonology or War. It really depends on the songs. 6. Do you think that black metal is a genre that should not evolve and that everything that has come after the nineties does not deserve to be called black metal? What do you suggest new aspects within the genre such as post-black? or the progressive black? Black Metal has evolved whether we like it or not. Luckily it is still a matter of choice and you can listen to the style you want. I personally am not a fan of any Post-Black, Progressive Black or Blackgaze or whatever you like to call it. BM in my mind has something to do with attitude and also with appearance. Just because you scream and use certain riffing doesn’t make you a Black Metal band automatically. 7. 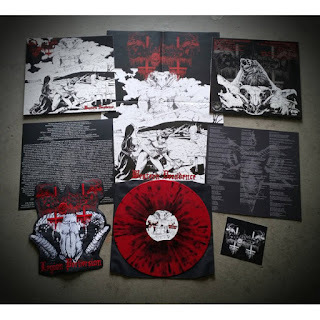 Undoubtedly, the fact that the second wave of black metal is so present in his concept has to have a referent, that is, which or which are the definitive and essential albums of the mid-nineties that have most influenced him? There are actually a lot of records which influenced us from the second wave! Some important of them are: Mayhem – De Mysteriis Dom Sathanas, Immortal – Pure Holocaust & Battles in the North, Impaled Nazarene – Tol Cormpt Norz Norz Norz, Darkthrone – A Blaze in the northern Sky, Emperor – Emperor EP & In the Nightside Eclipse, Enslaved – Frost, Satyricon – The Shadowthrone, Marduk – Those of the Unlight, Dark Funeral – The secrets of the black Arts…. The list goes on and on. Not to forget the big influence from the first wave with albums from Bands like Venom or Bathory. 8. Are you satisfied with the work done by Bret Hard Records regarding the promotion of the album? Are you surprised by the repercussion achieved by "Dominus Profundum"? 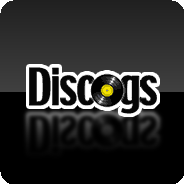 Are you considering reissuing the album in some other format? Bret Hard Records is a rather small DIY Label and because I know Thorsten (Owner of Bret Hard Records) personally I know that he does everything he can to promote the bands on his roster as good as possible. Of course it would be cool if we could a find a worldwide Distribution Channel but for now we get along with social Media or Bandcamp. At the moment there are no plans from our side to reissue our album in another format but if somebody is interested to do so… please contact us. 9. 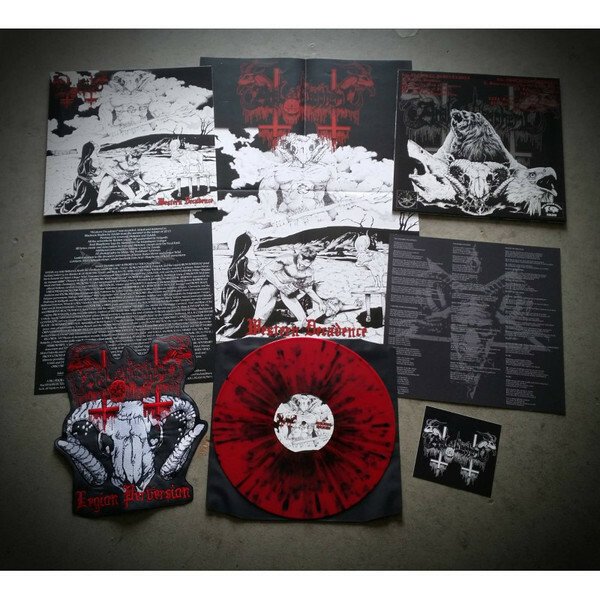 Toni Merkel (mix) and Alex Schiborr (mastering) and Alemsahim in the design, also have their part of merit in the edition of this new work, can they be considered as a fundamental part of Pestlegion? and how did the collaboration of North Wind in this album? Toni is a fundamental part - no doubt. He knows how the band wants to sound like and does an incredible job. Also, Alex Schiborr is a good friend of our band and he often visits and hangs out with us at our rehearsal room. Alemsahim did a great job regarding the artwork for “Dominus Profundum”. Every artwork is drawn by hand the old school way. Maybe we will work together again in the future. Who knows? Northwind is also living in our hometown Marl and we know him for a very long time. Everybody who has listened to his former Band Tsatthoggua knows what a great vocalist he is. So, we were glad that he agreed to do some backing vocals on our debut. 10. It has been clear from the beginning of this interview the taste for classic sound by the band, but what was the last album you bought that was worth it? How do you see the current black metal scene and what groups do you recommend? from your area? The last albums I bought were Morbid Angel’s “Kingdoms Disdained” and “Sweet Death and Ecstasy” from Midnight. Both are great albums which I can recommend. In general I think that the Black Metal Scene has grown over the last few years. 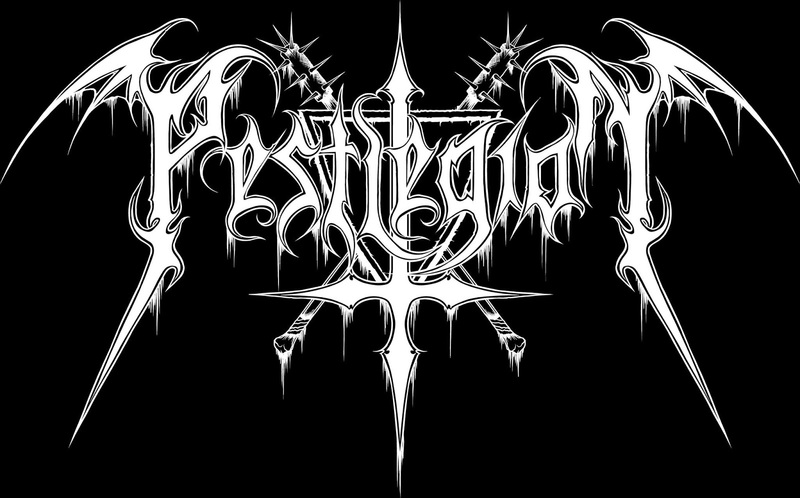 When we started Pestlegion back in the days it was a kind of Anti-Trend as Brutal Death Metal was the dominant style. I do not recommend any band because I think that one should support the Metal Underground in general. If you like what you see and hear support the bands and buy their music and merchandise . There are a lot of good bands out there. Just open your eyes and ears. 11. Although you have offered some concerts, you do not show much in that aspect, how important is your contact with the public at concerts? Do you prefer quality to quantity when it comes to performing live? As already mentioned Caladrius and Tyyn also play in a Death Metal Band and are very active regarding live Shows. So, we have to plan our gigs very carefully. In general we like to play live and also like to have contact with the public after the show. It’s always nice to meet new people and have a beer with them. So, if someone wants to book us please contact us (via Facebook) and I’m shure we can figure something out. 12. Are you working on new themes to edit soon or do you still have nothing ready? What future plans do you have for the band? Actually we have just finished the recordings for our first release on Vinyl. It will be out in the first half of 2018 so stay tuned for updates. We will try to keep the old-school flame burning and hail the cult of Blood and Death. 13. Thank you very much for the time dedicated to Black Metal Spirit, if you want to add something more for the followers of Pestlegion this is the place. I hope the questions have been to your liking. Thanks for this interview! Stay Metal and support the underground. Visit the shows and support the local bands! All hail Black Metal!